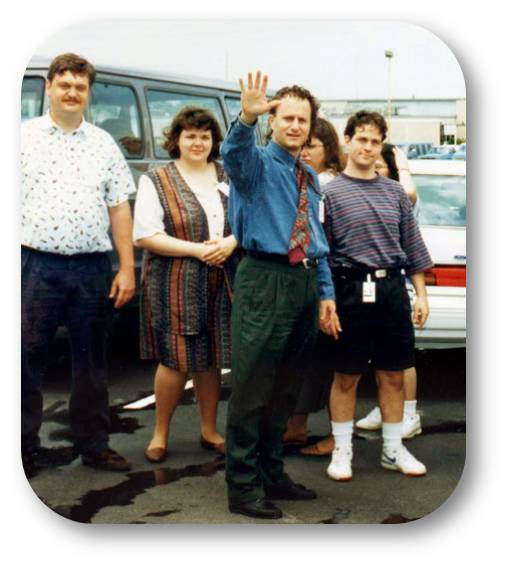 In the mid 1990's, a series on TSHA history was published in the TSHA newsletter. Below is a compilation of the information included in the series. 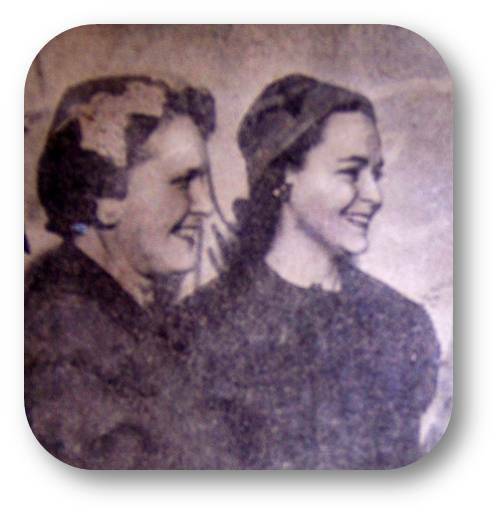 Betty Powell was instrumental in gathering much of this information. TSHA was founded in 1953 as Oklahoma Hearing Society. Parents came together in support for their deaf children because there were no services available in the area at that time. The group changed to the Tulsa Hearing Society in 1961. 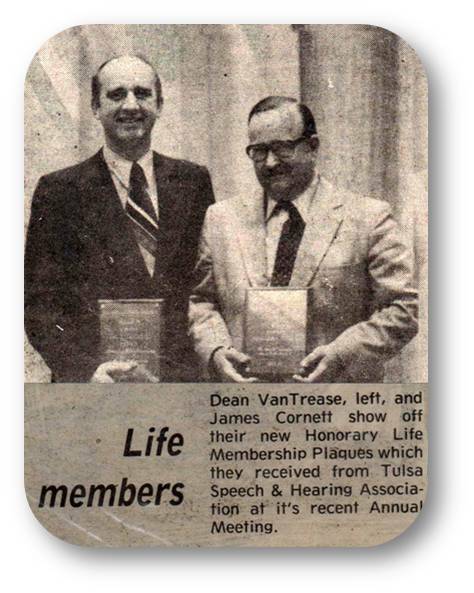 In 1969, the Tulsa Hearing Society incorporated and changed its name to Tulsa Speech and Hearing Association, otherwise known as TSHA. In 1970, TSHA became a Tulsa Area United Way member agency. The relationship between TSHA and the Tulsa Area United Way continues today. Throughout the years, programs and services have evolved and expanded to meet the needs of the consumers in the community. The service area expanded from the immediate Tulsa area to include all of Oklahoma. 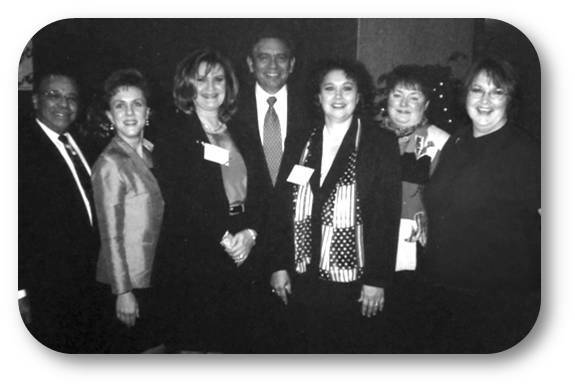 Tulsa Speech and Hearing Association officially became TSHA, Inc. in 1999. It is reported the very first office was located in the Mary K. Chapman Center on the University of Tulsa campus with Jim Cornett, Jr. as Executive Director. Financial aid was given to families that desired hearing aids or classes in speech therapy. TSHA received and processed applications from the community, referring their needs to the appropriate offices or organizations where they could receive assistance. After moving into larger offices at 38th and Harvard, a new director was employed - Don Hastings from Des Moines, Iowa. After Hastings' arrival, a grant was written providing money to hire service specialist, Jeanne Manning. In the fall of 1979, TSHA received a contract from the Department of Human Services to provide interpreter services. Betty Powell became the first coordinator of that program and provided interpreter services herself since there were only six interpreters available in the community. This was the office where the first meeting of interpreters organized and became the "Green Country Interpreters' Group." Jack and Maxine Money and Jenny Koons were considered "grassroot" interpreters. In 1981, Don Hastings gave up the executive director position in order to move to Tulsa Junior College as the director of the newly formed Resource Center for the Hearing-Impaired, now known as the Resource Center for the Deaf and Hard of Hearing. The search for a new Executive Director brought Susan K. Murray to Tulsa. TSHA offices were full of ambitious, hard-working people. This staff planted a seed which later became the Independent Living Program and the Projects with Industry Program. On-going mini-workshops were held on all aspects of acquiring jobs, from the basic completing of job applications to ways of coping on the job. TSHA also worked with individuals on a variety of needs such as preparing for their driver's license tests, learning to budget, and taking care of a family. Needing a larger work space, TSHA moved to the 51st and Mingo area in Tulsa. This location was good consumers who had vehicles, but many of TSHA's core consumers used the city bus. Another move was needed and offices were found at 31st and Mingo in 1985. Rob Parrish became Executive Director in 1989. One last move was made when TSHA was able to purchase its own building in 1992 on the famed stretch of Route 66 that runs down 11th street in Tulsa. René Ryan took over as executive director in 1993. In 2007, TSHA changed its name once again, to Total Source for Hearing-loss and Access, but not too many years later reverted back to TSHA, Inc., and remains as such today. In May 2018, Ryan, after 33 years working at TSHA - 26 of those years serving as executive director - she made the hard decision to retire to spend more time with family. She is still one of the top requested sign language interpreters in the state given her time in the community, high level of certification and legal interpreting background. In July 2018, Joey Mechelle Stenner Farqué took the helm as executive director. Having experienced an acoustic neuroma and losing 50% of her hearing, Farqué is no stranger to hearing loss. After more than 20 years - including 15 years leading the communications, marketing and development efforts at Sweet Adelines International - working in nonprofit organizations, Farqué is eager to continue thrusting TSHA into the future with enhanced programs, additional vital services for those affected by hearing loss and increasing awareness of an important fixture in Oklahoma's nonprofit space.